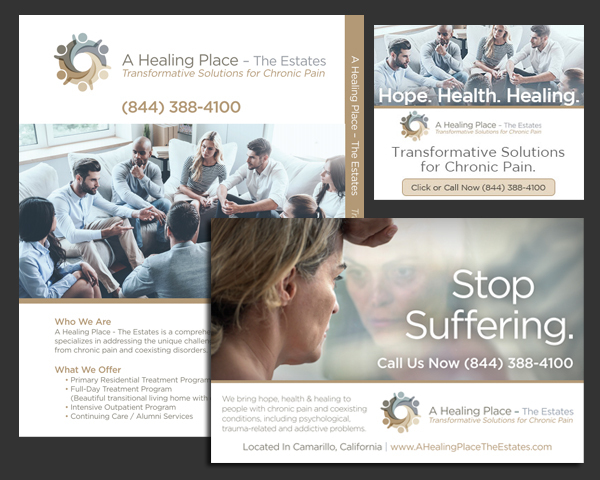 A Healing Place – The Estates – Business Start-up | ASTRALCOM - Content Strategy, Conversion Marketing and Customer Acquisition. 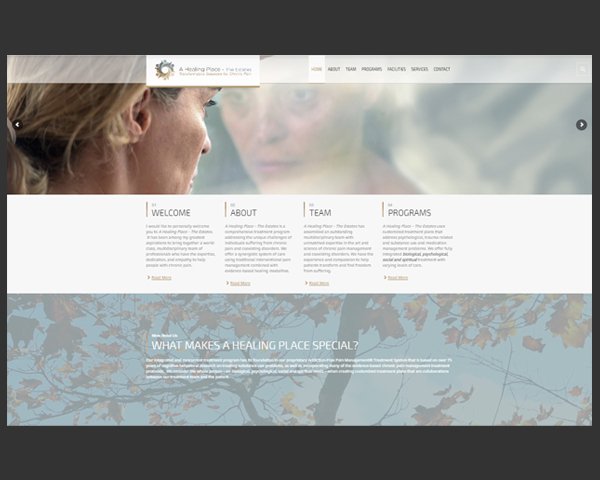 A Healing Place – The Estates – Business Start-up | ASTRALCOM – Content Strategy, Conversion Marketing and Customer Acquisition. Creating a start-up venture is no easy business. Blazing a revolutionary new market trail with that very same start-up is even more challenging. So, when A Healing Place – The Estates engaged ASTRALCOM, we stepped-up. We worked closely with their executive team to develop a set of solutions and tools to convey a distinct set of characteristics to their audiences. The result was a professional and compelling set of business collaterals that included a company logo, letterhead, business cards, envelopes, print ads, trade show materials, new website and a comprehensive post-launch digital marketing strategy. Client-agency synergy is critical to delivering great performance and A Healing Place – The Estates is a great case-in-point. They’re off and running and the results are beyond expectations. We couldn’t be happier. Could you be happier with your marketing performance? Contact us and we’ll be glad to talk about it with you.